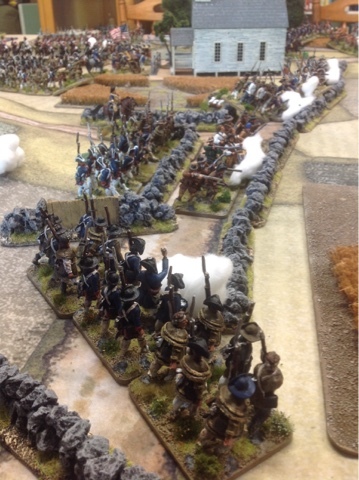 Hey guys I am back after a years hiatus in historical gaming, during this time I have been dabbling in the dark places of GW and 30k Heresy (which has been loads of fun). 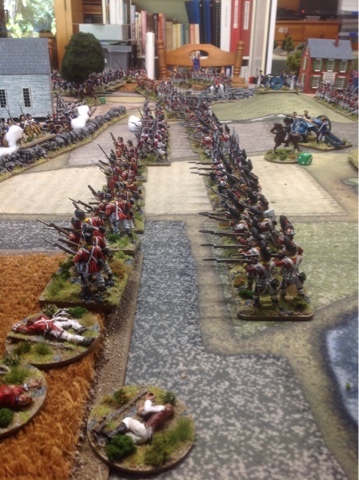 Back to historical gaming today with a cracking 40mm game of AWI with my gaming buddy Mark Piper. 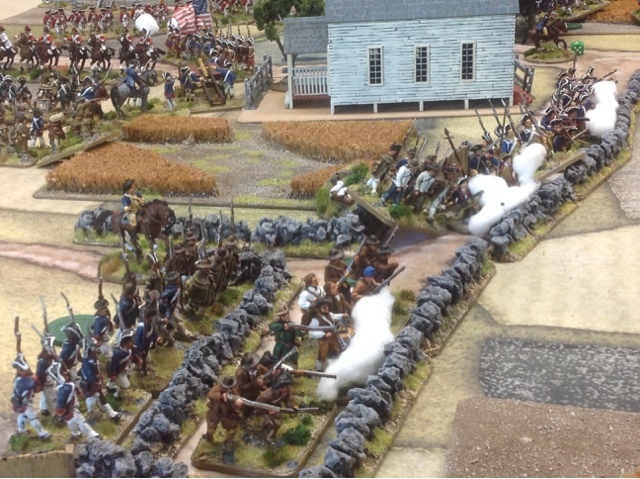 We played a large scenario using the new 'Land of the Free' rules which I rather quite like. 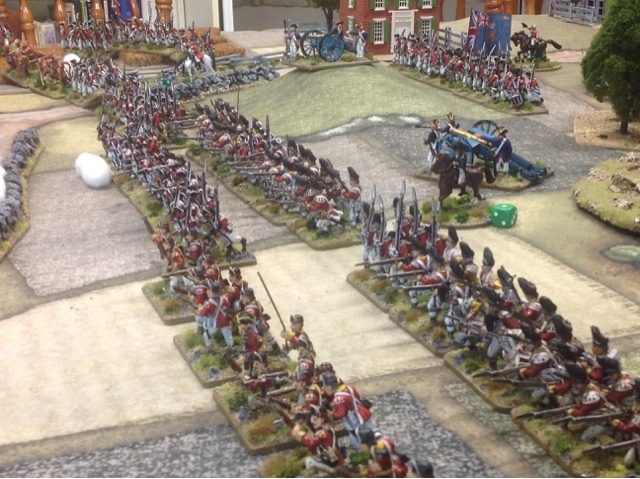 Fun game with great figures and terrain and after a hard fought battle victory went to the forces of the King (me). 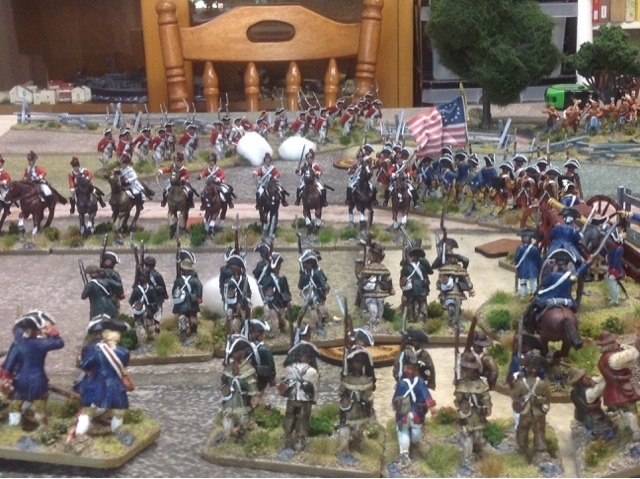 Enjoy the photos of Mark's great collection and I will be back Monday with photos of a large 20mm Team Yankee game we are playing at the club. Good luck Scotty - will be visiting your Dust site often mate. Cheers and have a great Christmas! Sorry to hear the site is closing down Scott. But never mind your other blog is also an inspiration. Thanks guys will be visiting your sites often. Great looking game Scotty sorry I missed that one.